When you’re looking to buy a new laptop, Rs. 40,000 or so is the sweet spot that gets you that right balance between performance and affordability. We would recommend getting an Intel Core i5 processor, the midrange offering from the chip giant, which ensures that you have enough power for most daily tasks and even some light gaming. We’ve previously documented the Top 5 3rd Generation Intel Core i5 Laptops under Rs. 40,000, which have now become much more affordable. The new Haswell microarchitecture is very mobile focused, and brings with it better power efficiency because of the 22nm manufacturing process and better integrated graphics solutions. All the laptops below don’t include an operating system because it would increase costs, and feature a 15.6 inch screen with a resolution of 1366 x 768, which is quite decent. So without further ado, here’s our picks for the best 4th Generation Intel Core i5 laptops under Rs. 40,000! So those were our picks for the best and most affordable 4th generation Intel Core i5 laptops. Do let us know what you think, and if you need more help deciding! Depends, you’re looking for something for daily use or media/gaming? That’s quite a general requirement. What will you be using it for? What is good if I want go with linux? Well, the laptop is usually cheaper in the first place. Apart from that it gives you the freedom to choose your OS, if you’re a developer, Linux might be your OS of choice. I want to buy laptop based on i5 processors with atleast 2ghz speed(base frequency not turbo boost).Don’t need a grahic card.RAM should be expandable up to 16gb(minimum).OS is not an issue,i’ll install linux anyway. My budget is 40-50k.I’ll use it for software development .I think i have to go with i5 th gen M processors.Can you suggest me some good laptops with the specifaction i mentioned above and also with good battery?Local shops are suggesting me to buy DELL or LENOVO. First of all, what is your budget? And will you be gaming? Crappy list . Some noob prepared the list for his granny. It didn’t even include a single laptop with dedicated GPU. Man u could have listed HP r007tx or similar products from dell. Try to do some research next time before posting such useless things. This list was made more than a year ago when the 4th generation Core i5 laptops were still quite expensive, only now you’re getting ones with graphics cards for the same money because of the price drop and the 5th generation Core processors launch. Try to look at the date the next time you criticize a post. I am looking for a 5th gen i5 processor, 8GB RAM, 1TB HD preloaded with windows 8.1. 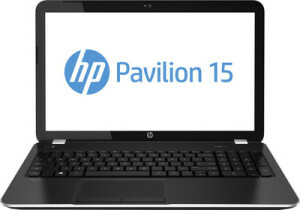 I am unable to decide to whether HP Pavilion 15 278tx or HP Pavilion ab032 is a good choice. My budget is 50k. Can you suggest a good laptop, mostly for programming and running analytics tools. If it’s for programming, either one will do just fine. I am looking for a laptop under 40 k budget and hp is my brand choice as I think it has great quality .for a engineering student lik me do you recmond 4th gen? 5 th gen i5 ? . and the choice made should be flexible to my further studies /work . specs bieng 1tb hd 4 gb ram 2gb grAphics . good look healthy battery life . I am looking for a laptop that is fully compatible with Linux ( archlinux) and with 5th generation core i5 processor with integrated graphics, kindly suggest . Note that there’s no graphics card on the Dell, but it does come with Windows. I am a mass comm student. I want to buy a laptop under 25k. I need to work on Coral Draw, Photoshop, audacity softwares etc. I need to use it for lots of net surfing, downloading, graphic designing, watching videos. No game playin. HP brand is preferred with Intel core i3. Please suggest the best laptop. Will I be able to perform all this within this tight budget? Is HP 240 G3 a nice option? I need windows software. Any other better option. Yep it’s a good option. What will you be using it for though? And I want to suit for both gaming purpose and for regular work. Its body should be slim and ofcourse fast processing. You won’t be able to get 8 GB RAM and an i5 in that budget. 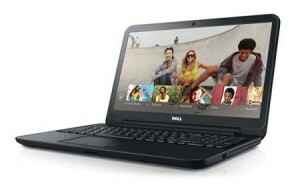 I’m looking for laptop from dell. I am looking for a laptop for music production. My budget is 40k. I don’t care about the processor or brand. But I need as much RAM and display resolution as I can get for this money. Thanks in advance for the help. So what will you be using it for? hello there! I am looking for a laptop that will run GTA 5. I have shortlisted one laptop :- Dell Inspiron 5547 Notebook (4th generation Ci7/8gb RAM/1TB HDD/WINDOWS 8.1/2GB Graphics/Touch). Please tell me whether this will be sufficient for GTA 5 or not. My budget is around 30000 to 45000. When I saw it on flipkart, it was only for 33000 Rs. however, I cannot find its original price online.Can you please mention its original price? Plus if you have any recommendations, I will be more than happy to receive them. Thank you for your time. I suggest you go for this one, it’s a 5th gen Core i5, and is more future proof. Let me thankyou for the nice informative article here over Laptops ! 3) mainly to transfer screen to my LED Tv via HDMI. so virtually I can see movies or surf the net or play games over the bigger screen- This criteria is a must, please guide me about connections, how to get best results. 4) Also explain 64bit architecture , which OS of what version is required, and which processor is suited to get full benefit . 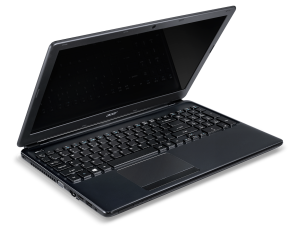 5) Also I need the laptop with futuristic upgrade options like 16gb ram. Higher HDD, Graphics so after few years when kid get older we can upgrade the machine. My budget is about 25-30000 if its worth than I am ready to stretch till 35000 also. You should be able to connect your laptop to your TV if it has an HDMI connection and use it like a big monitor, that’s no problem. Wirelessly you can replicate the screen as well. It’s still relevant, but the only change is that pretty much all OSes and processors are now only 64 bit. Processors have been 64 bit since 2004 or so, in fact. Now, you can upgrade only RAM and HDD in laptops, but not the graphics card or the processor. Laptops in the range you’re looking for won’t really support anything over 8 GB though. As for gaming, you won’t be able to play the newest games, for that the budget has to be stretched higher. For around 35000, I can recommend something that will do pretty much everything you need, but you won’t be able to upgrade much, and will only be able to play certain lighter games. Is that alright? Please suggest laptops accordingly, I will surely consider them. I searched for 16gb ram support available with Lenovo andToshiba only. Yeah it should run on low-medium. regarding your reply on July22nd , I am waiting for your suggestions over Laptops as per my description. Please spare sometime and provide your valuable suggestions. Hello Nimish, apologies for the late reply. plz suggest me a laptop under 45k (45,000rs) in which i can play GTA5 and other games ,,!!! ,,!! plz plz plz name some model gyz,,so that i can buy it ..! 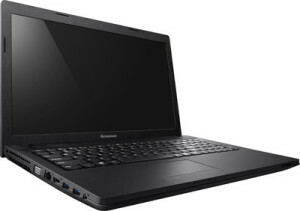 i want to buy a laptop for daily use but it should take a load of heavy softwares.i want to buy under a limit of 50,000.
i browsed for dell inspiron 5558 and lenovo g50-80.how are they? please provide me some help. I am a computer science engineering student.I want to buy a laptop for programing purpose.my bugget is under 40k. 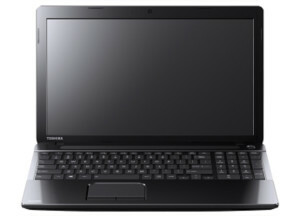 I want a laptop which have atleast 4gb ram,2.5ghz clock speed,windows operating system,i5 processor. is i5 5200u descent enough for rendering aftereffect,blender,maya (i know i5 5200u is poor choice bur under 45k i’m gonna get this and i’am not a pro just trying to learn ) so . Well it’s not particularly powerful enough for intensive rendering, but should do for basic stuff.